Yep, its an inflatable 18ft Super Size Stand Up Paddle Board that is specifically built for Group Activities. Ideal for groups... Team Building Days, Hen or Stag Parties, Birthday Parties as well as individuals joining a group crew. A minimum of 2 persons required when booking Giant SUP session. 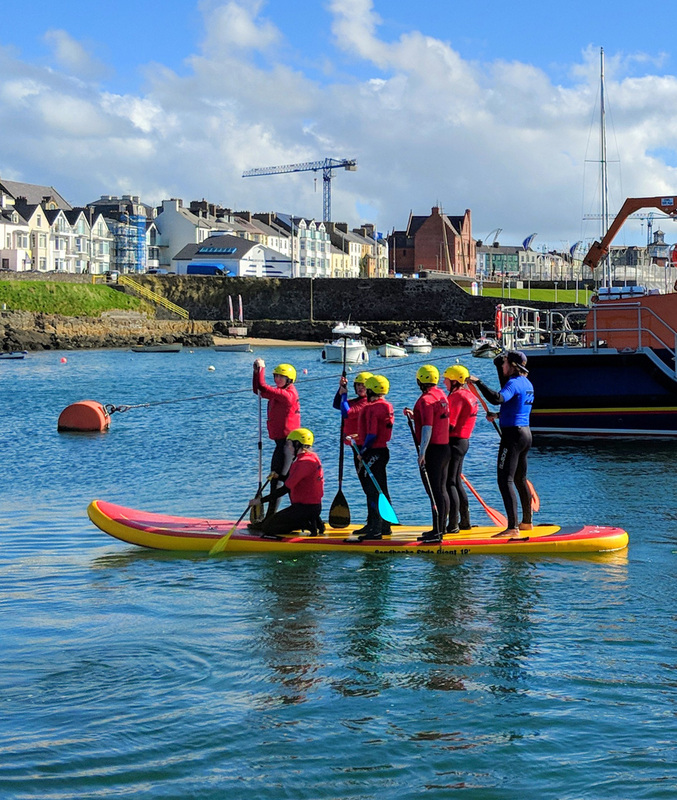 Our highly qualified coaches and life guards run a safety briefing before leading the crew to the calm waters of Portrush Harbour 'Wee Beach' where you will master the basics of kneeling, standing, and paddling the GIANT BEAST. Once accomplished around the Harbour we then take you along the stunning Portrush coast line along West Strand Beach where we you will be able to really get the board moving, while learning about steering and control and high speed turns, conditions dependent we then paddle to shore where you will catch a few waves with a full crew. Throughout the session you will play fun games and have plenty of opportunity to push your buddies into the water along the way. This activity is SERIOUS FUN so be prepared to laugh like you never have before! If you have a large group don't worry, we have 2 Giant SUP Boards so we can accommodate very large groups, all fully supervised by our trained team. 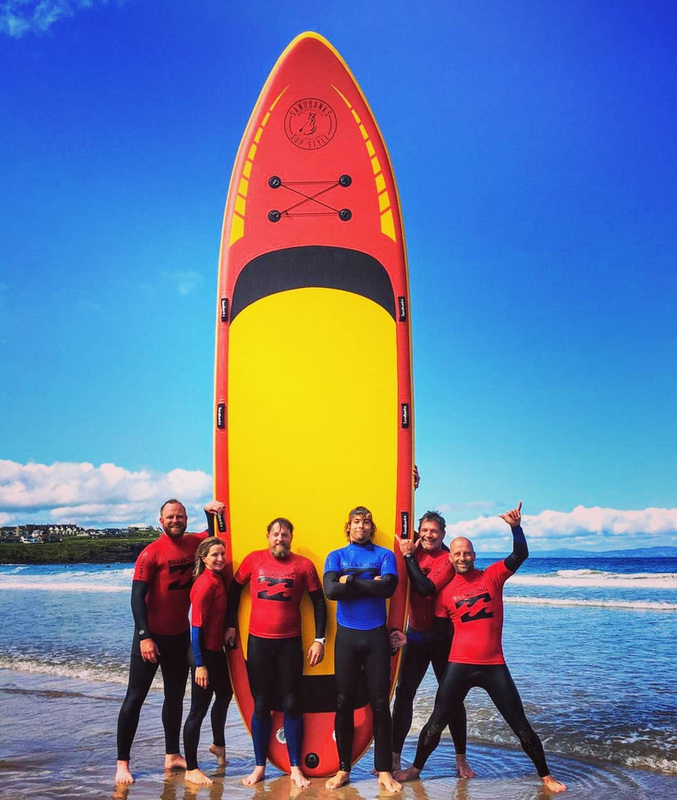 Activity is fully weather dependent and Portrush Surf School reserve the right to postpone the session if weather, wind, or surf conditions are too dangerous. All based around fun and safety, mandatory Life Jackets provided. All lessons are supervised by leading RNLI Beach Lifeguards and Qualified Surf Instructors.